A new generation of singers has been lighting up Bollywood music with their exciting talent and one of them is rising star Sumedha Karmahe. She has delivered songs for the big screen – including the beautiful ballad Nazm Nazm from the hit film Bareilly Ki Barfi. 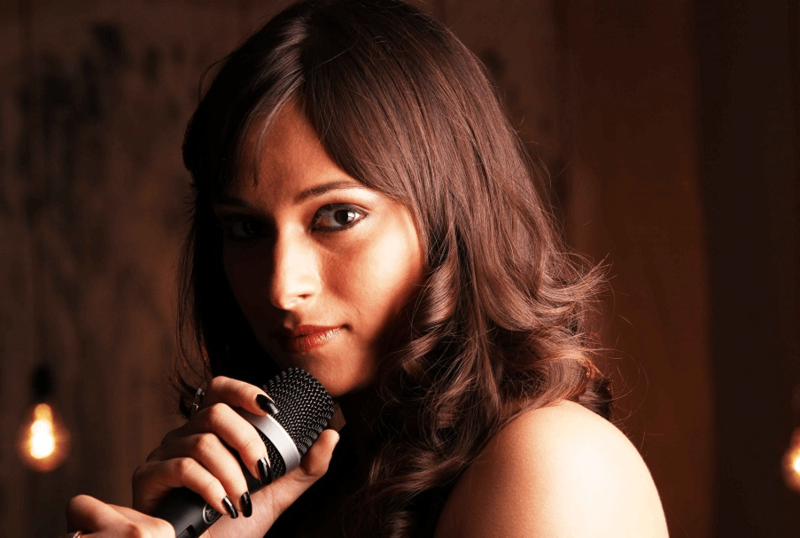 Sumedha can sing in five languages, has been a jury member on singing reality show Sa Re Ga Ma Pa and also lit up the live arenas around the world. Eastern Eye caught up with the superb singer to talk about her musical journey and inspirations. What first got you connected to music? It was definitely the fact that I started singing before I could even speak; when I was two and a half or three years old. I used to keep humming myself to sleep. So in a way, I used to sing a lullaby for myself. I remember this as my first memory of me getting connected to music. Mine has to be my two most favourite singers Lata Mangeshkarji and Asha Bhosleji. I don’t even remember since when I started listening to them on radio and audio cassettes. I have been watching them on TV and wanted to be like them, I wanted to sing like them. Lataji and Ashaji are my idols and my institutions. I have grown up admiring them and learned a lot just by listening to them. I would, in fact, say that Lataji and Ashaji were my first gurus. What led you towards wanting to pursue a career as a singer? 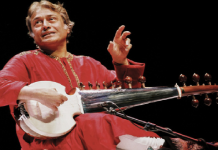 There was a competition in 2004, which was judged by the composer, Mr OP Nayyar. I got a chance to sing one of his compositions and received a lot of appreciations from the legend himself, Mr Nayyar. I also won the competition. Being praised by the legend himself gave me the confidence that perhaps I could be a professional singer. At that particular competition, I decided to pursue my career as a singer. 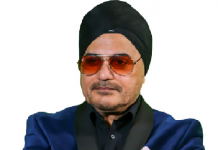 The first song, which I recorded in Mumbai for a film, was Tere Bin from Tere Sang and it was for none other than Mr Bappi Lahiri. Actually, it was a birthday gift for me because during the competition on my birthday we went to Bappi Da’s place and he made me listen to a song and asked me how it was. I said it’s very nice and has a beautiful composition, and we left. After two or three weeks, Raja Hassan and I were called for the recording of that song, which was a duet at Yash Raj Studios. It was really a great surprise. Throughout, when Raja bhaiyya was recording, I was just lying down in a corner because I was not well. I had a high fever, but I was listening to Raja bhaiyya, the composition, the takes and so on. I was learning and in the evening, after four or five hours of recording, when I got the chance to go on the microphone I completed the song in just half an hour. Maximum three takes and I was done. So it was very quick as compared to the first recording. But, yes, overall, it was a very nice experience and after that I have recorded a lot of songs, but that particular track will always be a very special one for me. It’s been amazing when your hobby and passion become your profession and your working hours become endless. Every day is a new experience and a new learning. I have learned so much during the Sa Re Ga Ma Pa season. I did more reality shows post Sa Re Ga Ma Pa, TV appearances, playbacks, singles, collaborations and so many things. I am living the life I had imagined. God has been kind. Which of the songs are closest to your heart? It is Toota Jo Kabhi Taara. Also, my first two singles that I had recorded, Bawre Nain and Yaadein. Which genre do you most enjoy? I have mostly been singing love ballads in Bollywood and singles. But I love singing and performing party numbers and in live performances too. And I love ghazals. Tell us, where does the emotion in your voice come from? One thing I have learned from Jennifer Miss (Jennifer D’Souza, my music teacher) is that every ballad and every song has a story. If you know the actors and story, you can easily emote and sing your song. But, when at times we don’t know on whom the song will be picturised or the story behind it, you have to understand the lyrics and make your own stories. Jennifer ma’am tells me that there is a story behind every track, so make up your own story that will help you emote or sing the song correctly. A lot of times I have made up my own stories for songs and it actually helps. Every song I sing, I have someone or some story in my mind before recording it. Performing live is one of the most favourite things in my life. Sometimes, when there is no show or performance for even a couple of days, I miss being on stage in front of the audience. There is a big difference between a live performance and recording. While performing live you get to see the audiences’ reactions and feel high. It is like your own party of sorts on stage and there are also a lot of experiments. When we want to try something new or different, I do it on stage and it’s very impromptu. It’s also like jamming with your band and the best part is, you are getting paid for it. You feel nice when your hobby becomes your work. Your stage becomes your office and home. Tell us what has been your most memorable performance? It is difficult for me to choose one. But audiences singing along with you and your own songs at gigs is a feeling like nothing else. Then, taking pictures with them; listening to what they liked about the performance; reaching out to the new audience every time we perform in new cities, and getting flooded with videos and compliments on social media – makes every show of mine memorable for me. Music has taken you all over the world; but what has been your most memorable international adventure? What is the masterplan going forward? It is to spread happiness and make people smile through my music. AR Rahman sir. Also Chhattisgarh, the place where I belong, has a unique and rich form of folk arts. I’d love to collaborate with the folk artists of Chhattisgarh. Do you have any big ambitions away from music? I don’t have any other ambitions apart from music, but yes, I love travelling. Expect more Bollywood songs, independent music, collaborations and also a series of music videos of me taking song requests from my listeners. Apart from that, more travelling. Also, I want to pursue Indian classical music. Tell us what music dominates your personal playlist? The one artist who is always in my playlist is the legend Kishore Kumar. Other artists who are in my playlists are Bruno Mars and Ariana Grande, along with few amazing young Indian classical musicians like Mahesh Kale and Kaushiki Chakraborty. Michael Jackson. I want to sing a duet with you, would you, please? What would be your karaoke song of choice? It would be Chupke Se from the film Saathiya. I am in love with this song since ages. AR Rahman sir is magic. Food, because it is the window to a different culture of the world. My mother said, follow your heart, do the right thing and go with the flow. It’s simple and I’m trying to follow it. How can I even tell in words why I love music. How can someone not love music? Anything that can spread happiness in the world is love. Music is love. So being able to do a little bit of that through my music inspires me to sing.